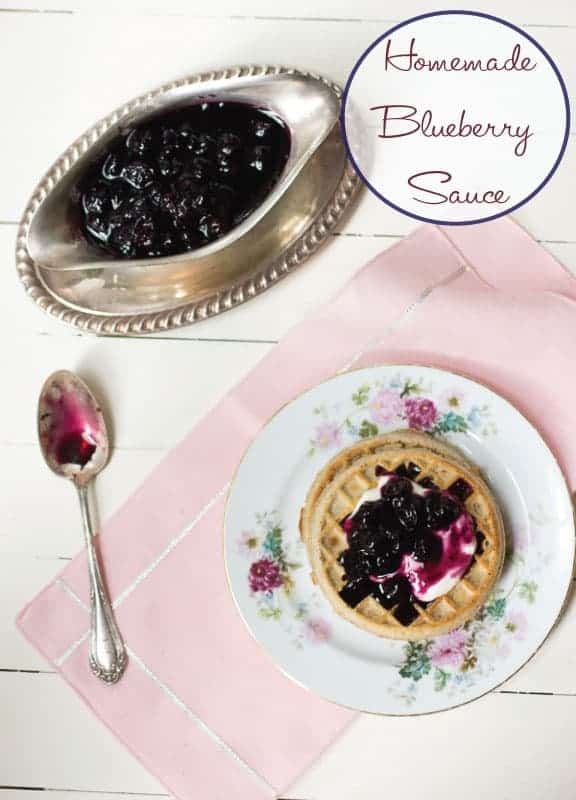 This simple Homemade Blueberry Sauce has become a summer fav. It is a sweet, tart sauce that you can use over ice cream, waffles, even Greek yogurt. Place them in the pan with the sugar and lime juice and bring to a quick boil. Reduce the heat for a minute or so to let thicken and stir in the vanilla. I like these kind of recipes! Tomorrow I will share the Frozen Yogurt Parfait I made this for. It is that easy too! About this time of the summer who wants to spend much time in the kitchen. We are entering our second month at the Cooking School. I love getting to meet new people who love food and are eager to try new things. This week I took the DIY Spa package I did last year for Betty Crocker and turned it into a class. We will be making Cupcake Bath Fizzes and Honey Lemon Lip Balm. If you live in Southern California this Friday our Date Night is Cooking With Beer and next week’s Girl’s Night Out is Small Bites featuring appetizers created from farmers market produce. I’d love to meet you and cook with you in the kitchen! Wash and crush blueberries; add sugar, lemon juice and salt. Mix well. In a small saucepan, bring blueberry mixture to a boil; boil 1 minute. Add vanilla. Chill.